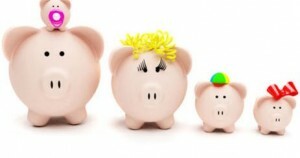 Managing your family’s finances can become easy with enough practice. Juggling life between a job, kids, and a spouse is enough trouble without also worrying about your wallet. Try following these basic tips for wrangling in those pesky expenses. The stress of paying bills will melt away, and you can move your attention back to the people you care about. A budget is the foundation upon which all other financial success is built. If you have never made a budget before, then don’t worry. It is as easy as taking your income and splitting it between everything you plan on spending over the next month. Use a spreadsheet, notebook paper, or whatever works for you. If you just aren’t sure where to start, professional bookkeeping and accountants like Karla Dennis and Associates make the process especially easy for beginners. If you already have a budget, then this may be a good time to revisit it and decide if it’s adequate for your needs. As you write your budget, it probably seems like you never have enough money for everything you want. The best way to address this is by establishing priorities. Bring the whole family in for a meeting to discuss what they consider their most important expenses. Maybe Timmy likes his swimming lessons, but everyone also wants a nice family vacation this summer. If you can’t afford both, then maybe you should discard one, or substitute it with an alternative. Make sure you budget a little bit of “fun money” for everyone, including Mom and Dad. Being able to spend something for yourself should always be a priority. There are a lot of ways to cut costs without sacrificing your lifestyle. For example, maybe your heart is set on a Disneyland vacation, but you just can’t afford it while making car payments. Instead, you could take the family to a cabin at a state park for a weekend. When kid’s activities seem to devour your paychecks, see what kinds of free programs your local library offers. There’s no reason your family shouldn’t get to enjoy themselves just because money is tight. Once you have your budget and your priorities set, then everything should fall into place. A lot of times when we feel like we need more money, what we really need is to more carefully manage the money we have. Now you can spend time with your family without financial stress getting in the way.